Ever wander into a store with one specific item in mind and then buy it…and maybe a few other things? That is exactly what happened to me over the weekend. Exhibit A: The Nordstrom Rack. After a beautiful afternoon at the beach, I decided that some retail therapy was in order to complete the day. I had every intention of stopping at Ulta, but I received a tip that the Nordstrom Rack had the Stila skincare products I was desperately searching for at a better price. I rarely shop at the Rack, but after this most recent visit, I’m thinking that I have been missing out. After securing what I really went in for, I took a stroll around the store. I thought I was safe until I spotted the shoe section. Who doesn’t need a new pair of summer sandals? I was proud of the restraint I had been exercising thus far – I even passed up a pair of Jack Rogers! 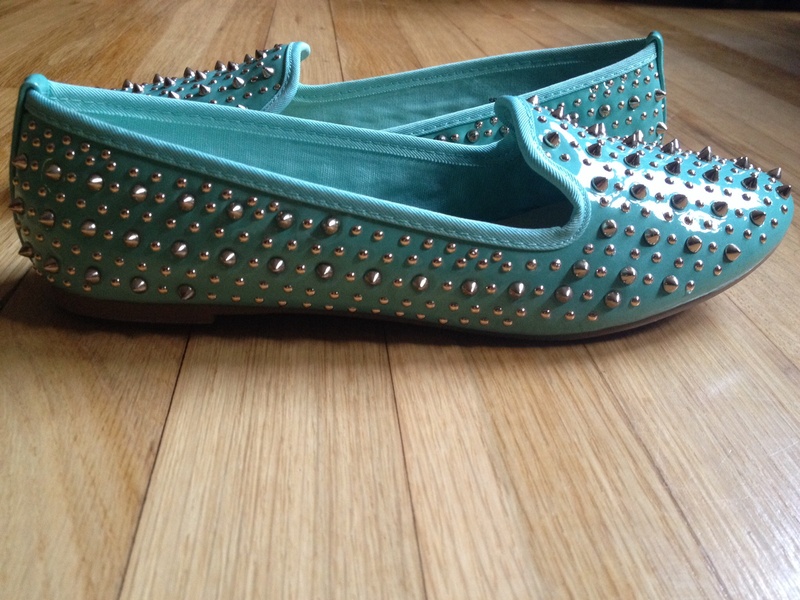 That was until the mint, studded Zigi Soho’s caught my eye. Normally, these would not be a pair of shoes I would find appealing, as they are edgier than my normal conservative 9-5 attire allows. However, as I went to put them back on the shelf, rationalizing to myself that I had no need for these shoes and would seldom wear them, I looked at the price. For under $25, they were a steal—I had to have them. I concede that this was a splurge (sorry, Suze Orman! ), but as I brought them up to the register I already began envisioning wearing them with white skinny jeans or a pair of shorts. Even though they will be reserved for fun summer day trips (or more likely, running around town), I have no buyer’s remorse. 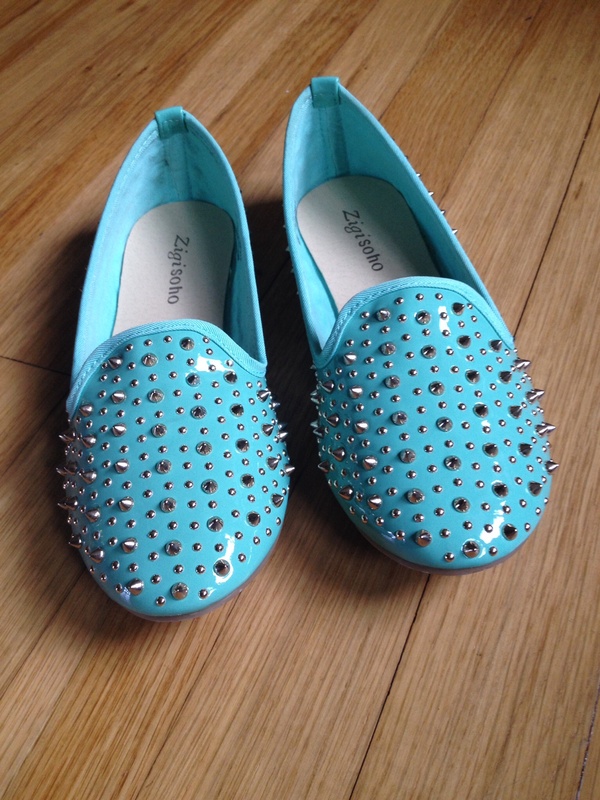 I am looking forward to wearing my bright, studded Zigi’s the next chance I get. So what do you think? 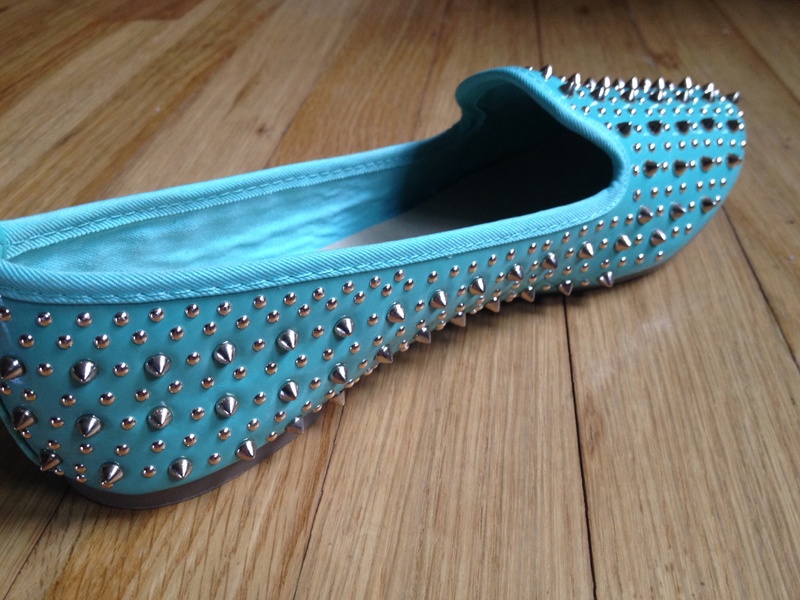 Are they stylish or style-eesh? I agree with you- white jeans are perfect with these! Those shoes are awesome! I am also so guilty of that behavior! i’m glad you went for them–i’ve spent a lot more on impluse buys!